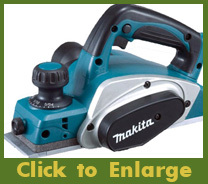 Makita Power Tools - Beam Planer, Sander, Circular Saw, Drills for Log Home Building and Timber Framing - Magard Ventures Ltd., Canada. 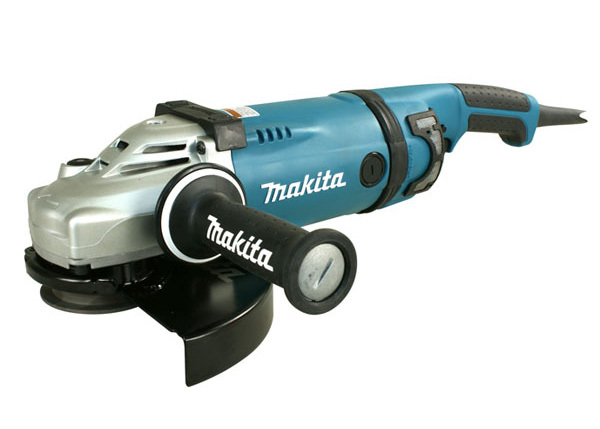 Makita has introduced a line of professional electric power tools designed specifically for the timber frame and hand-scribed log home industry. (Detailed specification brochures are available on request). This handy tool is useful for smoothing a log, especially removing cat faces. Other uses include working on scarfs and it’s great for creating arches. 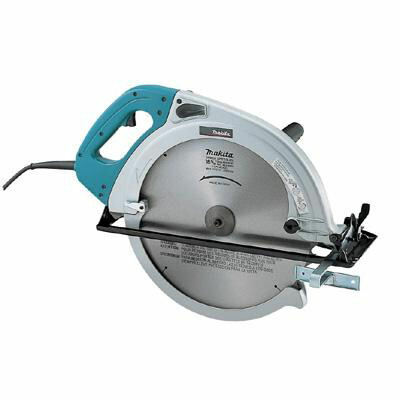 The blades can be modified to produce the hand-hewn look on square timbers or round logs. The front shoe is adjustable from approximately a 12” to a 13” radius. 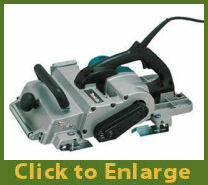 A-14-730 $519.95 Model 1002BA curved base 4 3/8” planer; 5/32” planing depth; 11 amp (115V); 15,000 RPM no load speed; 16.4’ cord; 13” overall length; 12 lbs weight. Featuring centerline balance with front and rear grips positioned for better control and a simple blade setting system for fast blade installation. This planer has a lock-On button for continuous operation. The double-edged carbide blades provide long life and smooth cutting and the precision machined base for smooth and accurate planing. 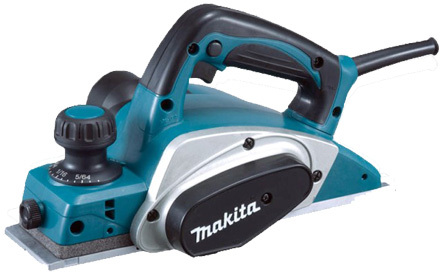 H-14-780 $149.95 Model 1902 handheld makita planer: 3 1/4” planer; 1/32” planing depth; 5.2 amp (120V); 16,000 RPM no load speed; 11 3/8” overall length; 6 lbs weight. 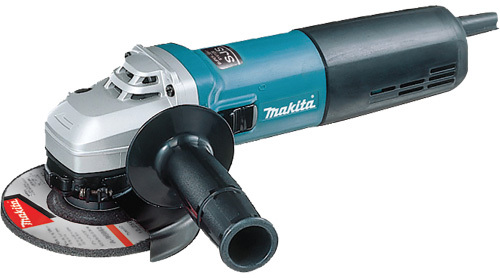 I-14-781 $415.95 Model 1911B handheld makita planer: 4 3/8” planer; 1/16” planing depth; 7.5 amp (120V); 16,000 RPM no load speed; 14” overall length; 9.5 lbs weight. 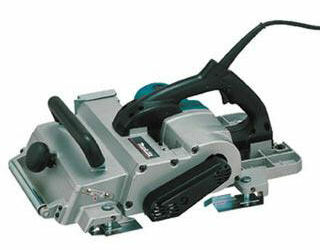 With its 6 ¾” width, this is a great planer for planing medium size timbers. It features a large chip ejection chute, easy depth adjustments, a large sole plate for stability, comfortably aligned front and back handles for better control and speed of 30,000 cuts per minute. 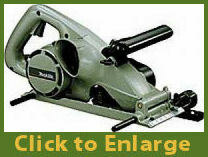 B-14-731 $774.95 Model 1806B 6 ¾” planer; 5/64” planing depth; 10.9 amp (115V); 15,000 RPM no load speed, 16.4’ cord; 20 7/8” overall length; 19.3 lbs weight. 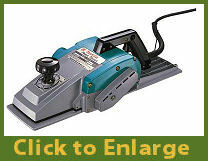 With its 12 9/32” width, this planer allows for full width planing of large timbers in one pass. By raising the rear handle, a front roller contacts wood, therefore allowing for the planer to be pulled back for a second pass without lifting from work surface. Adjustable guide pivots to facilitate planing of timbers with corners other than square. 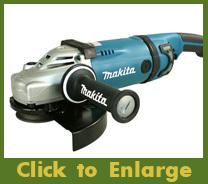 Other features include large cushioned front handle, reversible blades and now with more power. Ball bearing construction. 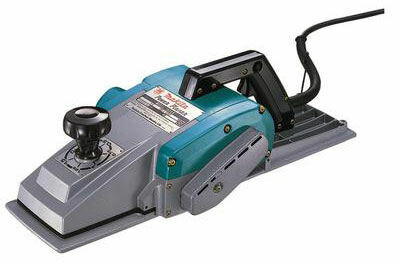 C-14-732 $2599.95 Model KP312 12 9/32” beam planer; 1/8” planing depth; 15 amp (115V); 12,000 RPM no load speed; 33’ cord; 21 ¾” overall length; 40 lbs weight. 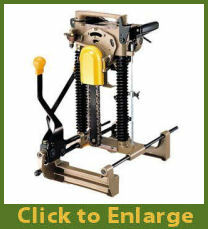 This tool produces a beautiful finished groove by means of a 4 ¾” diameter 3 sided cutter driven by a poly V-belt. 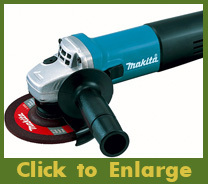 A quick adjust knob allows for adjustments of cutting depth to a maximum of 1 7/32”. Other features include a large rear D-handle for control and an electric brake for safety. A whole range of optional cutters is available for a cutting width range from 3/8” to 1 ½”. 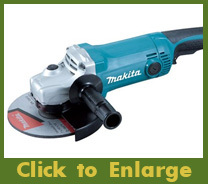 D-14-733 $899.95 Model 3803A groove cutter; 13/16” width standard; 1 7/32” max depth; 9,000 RPM no load speed; 16.4’ cord; 16 3/16” overall length; 13 amp. (120V) 15 lbs weight. 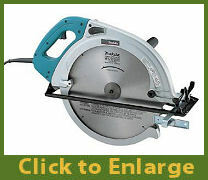 This large 16 5/16” circular saw is one of the largest portables on the market, cutting 6 3/16” at 90˚ and 4 3/16” at 45˚. 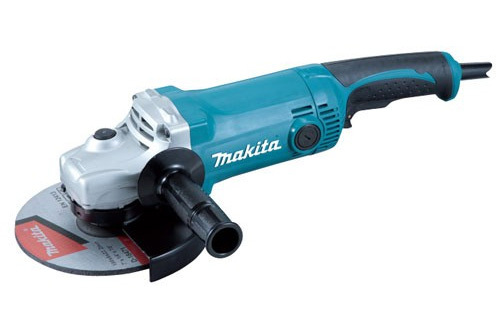 It features electric brake for fast stopping, precision gearing with ball and needle bearings, blade stabilizer for stable blade rotation, low 87db noise level, large support handle, large depth control lever and a carbide tipped blade. 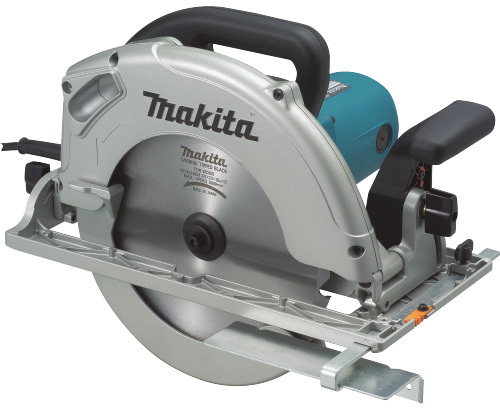 E-14-734 $919.95 Model 5402NA 16 5/16” circular saw; 15 amp (115V); 2200 RPM no load speed; 24 ¼” overall length; 32T carbide blade; 28.7 lbs weight. 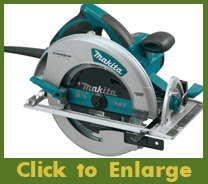 This circular saw with electric brake cuts 4x lumber in a single pass. 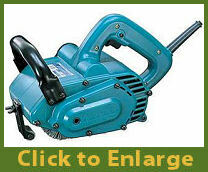 Powerful 14 AMP motor delivers 3,800 RPM with power to cut beams and timber. Well balanced and weighs only 20.3 lbs. for increased operator comfort. Precision gearing with ball and needle bearing construction for smooth and efficient power transmission. Blade wrench is attached to the saw for fast and convenient blade changing. Front, top and rear handles are positioned to fit hands comfortably for better control. 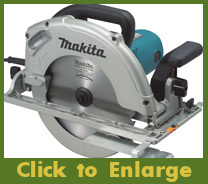 M-14-782 $629.95 Model 5104 10 1/4” circular saw; 15 amp (120V); 3800 RPM no load speed; 16” overall length; 24T carbide blade; 20.3 lbs weight. 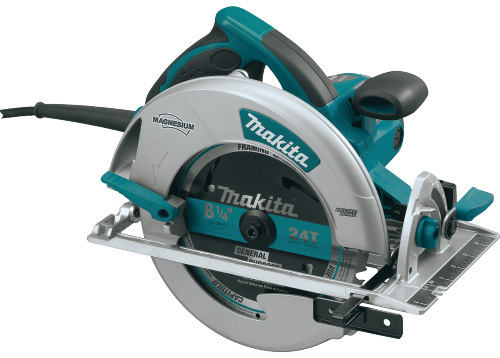 N-14-783 $249.95 Model 5008MGA 8 1/4” circular saw; 15 amp (120V); 5200 RPM no load speed; 13 1/8” overall length; 24T carbide blade; 11.2 lbs weight. 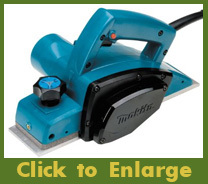 This innovative power tool notches or cuts mortises in wood quickly, cleanly and accurately. The head and chain bar pivot to provide for 3 plunge-type cuts without resetting the machine. Mortise longitudinal width of 5 1/8”, transverse width of 7 ¼” and maximum depths of 6 1/8” are possible. 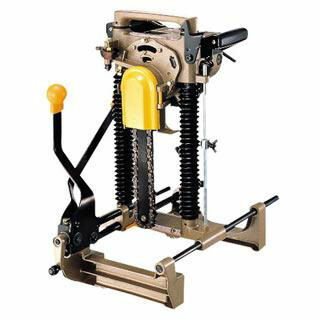 Other features include great portability, large adjustable vice for attaching firmly on to timbers, sliding rear clamp adjustable to desired width, plunge depth adjustment in 1/8” increments, quick horizontal chain lever for widening holes, razor sharp chain and built in carrying handle. 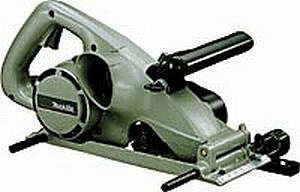 F-14-735 $1974.95 Model 7104L chain mortise; 12 amp (115V); 3200 RPM no load speed; 1000 ft/min chain speed; 16.4’ cord; dimensions: 15 ¼” x 11 ¾” x 20 ¼”; 37.4 lbs weight. 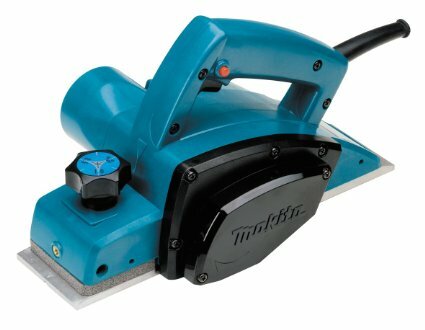 This wheel sander is the latest addition to the log building tool line in Canada. The fast spinning nylon bristle brush beautifully highlights the natural textures and wood grain which makes it ideal for the cleanup of re-claimed timbers, stained logs, rough-sawn beams, giving planed surfaces a more rustic look and dressing up scarfs. An optional coarser SC-80 nylon wheel brush is also available. 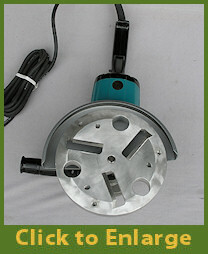 G-14-749 $572.95 Model 9741 nylon wheel brush sander; 4 ¾” wide x 4” diameter drum; 7.8 amp (115V); 3500 RPM no load speed; 16.4’ cord; 12 ¼” overall length; 9.2 lbs weight. 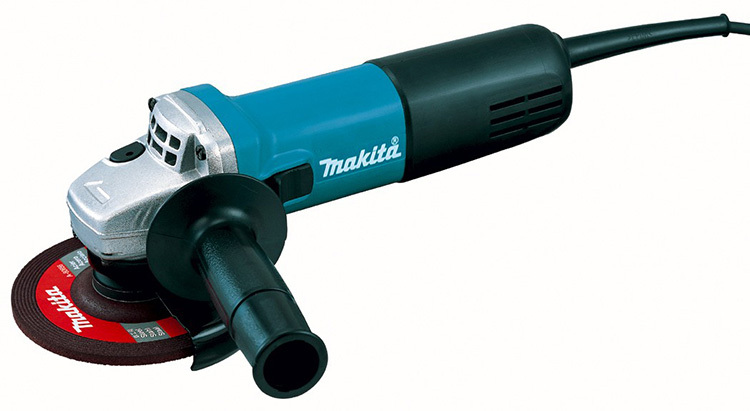 This reversible 1/2" power drill from Makita features a unique design and handle positioning for a variety of mixing and drilling applications. Rocker switch for easy one handed reversing. Precision ground metal gears withstand the rigors of rapid changes between FWD / REV. 12” pipe handle with rubberized grip for greater control. Rear handle rotates 360°. 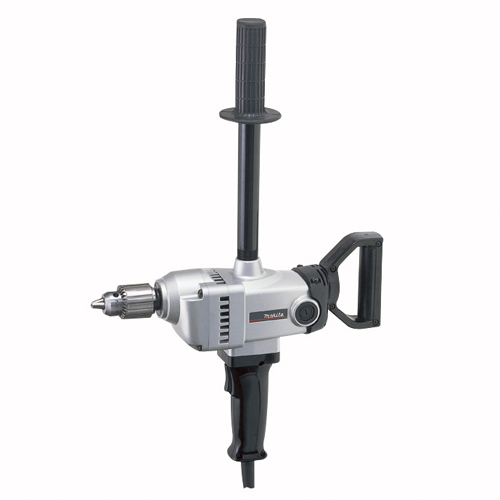 D-14-784 $414.95 Model DS4000 1/2" Power Drill; 9 amp (120V); 500 RPM no load speed; 16.4’ cord; 14 ¼” overall length; 10.1 lbs weight. 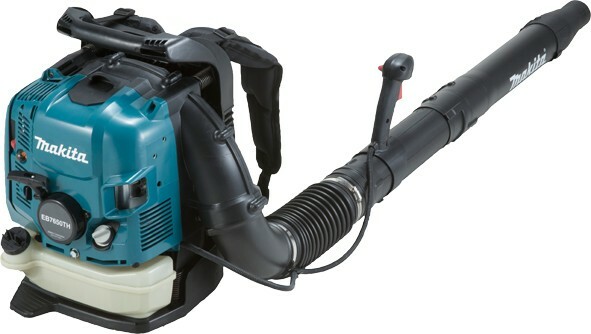 P-14-785 $699.95 Model EB7650TH 75.6cc Backpack Blower; Engine 3.8HP; engine displacement 75.6cc; Air volume 670CFM; Air speed 200MPH; 24.1 lbs weight. Featuring an electronic controller for operator convenience and a variable speed dial and trigger enables user to match the speed to the application. Constant speed control maintains constant speed under load. Soft start for smooth start-ups and less fling off of polish, wax or paste. Rubberized loop handle and gear housing for operator comfort and to help protect delicate surfaces from damage. Wire mesh intake covers to prevent wool fibers from entering the motor. Improved cord guard for increased flexibility and longer life. Externally accessible brushes for easy serviceability. 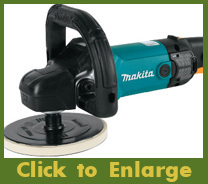 Q-14-786 $254.95 Model 9237C 7 inch Polisher; 7" sanding disc; 0-3000rpm no load speed; 10 amps; 18 1/2" overall length; 7 lbs weight. Conveniently located thumb switch for operator comfort. Labyrinth construction seals motor and bearings from contamination. 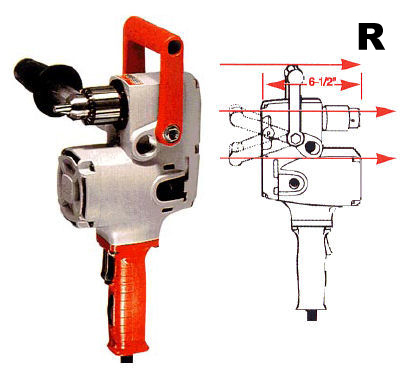 Side handle can be mounted on left or right side of tool. 5" depressed center wheel. Increased power at 840W. Small circumference barrel grip for easy handling. Shaft lock for easy wheel changes. Easier repairing of gear section, assembled with key. High heat resistance. 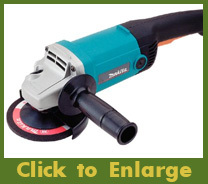 Model 9558NB 5 inch Angle Grinder; 5" sanding disc and grinding wheel; 10,000 rpm no load speed; 7.5 amps; 10 5/8" overall length; 4.6 lbs weight. Easy to grip motor housing. Slim body and high durability. Rubberized soft grip for more comfort and control. 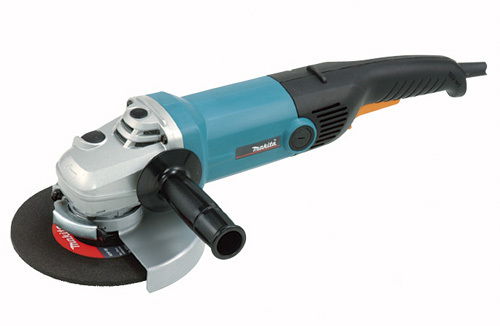 U-14-788 $149.95 Model GA5010 5 inch Angle Grinder; Wheel diameter 5"; 11,000 rpm no load speed; 10.5 amps; 14" overall length; 5.7 lbs weight. 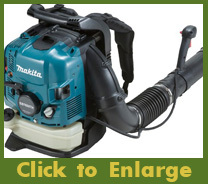 This unit has a powerful 12.5 Amp motor yet lightweight for maximum production. With spiral gears for efficient power transmission with spindle lock for easy accessory changes. Labyrinth construction seals motor and bearings from contamination; grinder head rotates 90 degrees for operator convenience; unit is double insulated. Includes ac/dc lock-on switch, as well as Grinding wheel, wheel guard, side handle, inner flance, lock nut and lock nut wrench. 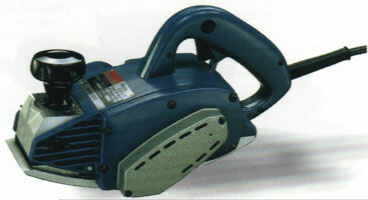 Model 9015DB 5 inch Angle Grinder; Wheel diameter 5"; 10,000 rpm no load speed; 12.5 amps; 15 3/8" overall length; 7.7 lbs weight. 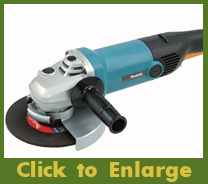 X-14-790 $199.95 Model 9565CV 5 inch Angle Grinder; Wheel diameter 5"; 10,500 rpm no load speed; 12 amps; 11 3/4" overall length; 5.3 lbs weight. 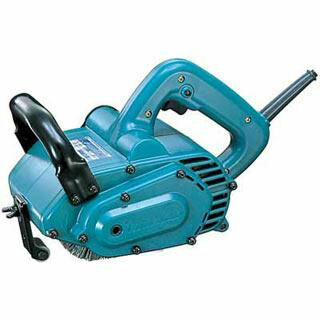 Y-14-791 $194.95 Model GA7050 7 inch Angle Grinder; Wheel diameter 7"; 8,500 rpm no load speed; 15 amps; 17" overall length; 9.9 lbs weight. Heavy duty design, including improved armature and motor housing for maximum jobsite durability. Two-stage safety trigger switch. Labyrinth construction features a complex series of channels to prevent penetration of dust and debris into the field and armature for maximum operational life. Motor winding protection features "Zig-Zag" varnish on the armature and hardened powder on the field coils to act as an impenetrable barrier to dust and debris. Rotatable gear housing can be positioned at every 90o for optimal positioning. 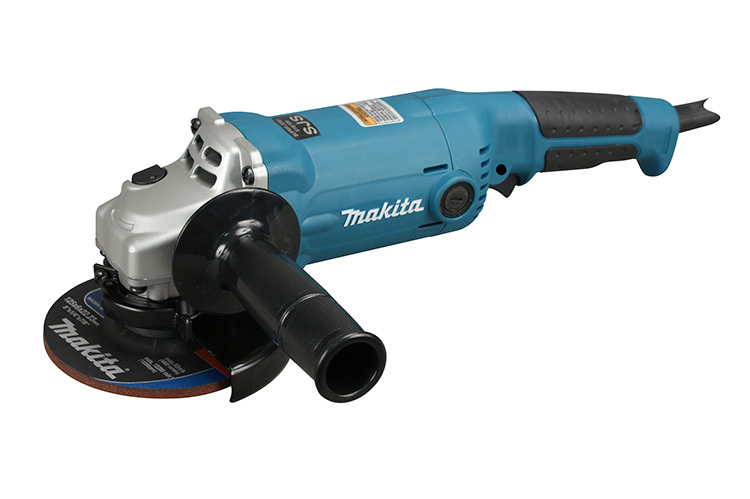 Z-14-792 $219.95 Model GA7060 7 inch Angle Grinder; Wheel diameter 7"; 8,500 rpm no load speed; 15 amps; 17 7/8" overall length; 11.7 lbs weight. This heavy duty unit is built for high production and continuous use. It features ball and needle bearing construction for long life, and a durable hi-impact housing. 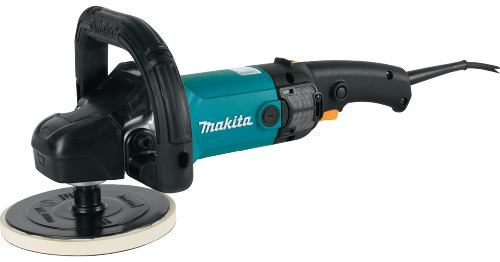 It easily handles a 9” sanding disc. Features heavy duty torque limiter which helps prevent damage to internal gearing, labyrinth construction helps prevent dust penetration, motor winding protection, rotatable rear handle and 3-position anti-vibration side handle. 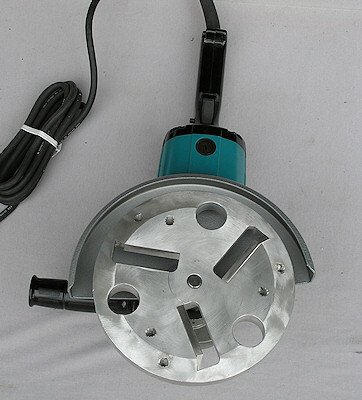 Model GA9031 sander-grinder; 15 amp (120V); 6600 RPM; 19-7/8" long; 14 lbs weight; supplied dust cover attachment set, lock nut wrench, tooless wheel cover, inner flange & lock nut. For those of you who are tired of pulling a drawknife or can’t find any peelers, then this is the tool for you. 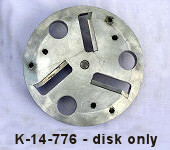 This is a heavy duty CNC milled 8” aluminum disc with 3 HSS steel planer blades mounted on it. It really whips the bark off and is ideal for primary peeling, takes the knots off too. Mount it on a Makita 9” grinder and go to work. Make sure you are wearing eye, face, ear and hand protection and a leather bib apron or chain saw apron. Make sure your grinder has the proper 9" guard on it too. Please note that this will not work on cedar due to stringy nature of the bark. NEW LOWER PRICE Aluminum CNC machined peeling disc c/w 3 HSS blades. Pays for itself in no time and saves time too. Fits grinders with 5/8"-11 UNC spindle. Grinder should be minimum 12 amp. and turn maximum 6000 RPM. with 9" guard. 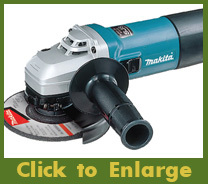 L-14-777 $855.00 NEW LOWER PRICE Peeling disc mounted on GA9031 Makita 9"grinder and a 9" guard. You won't believe what this log peeler can do. 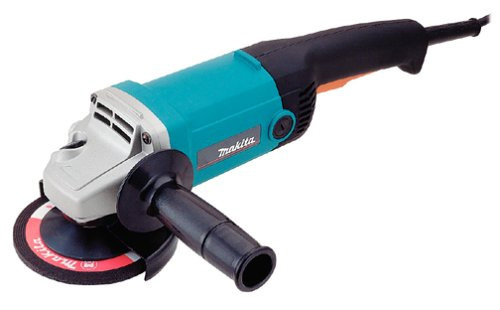 Why do it by hand when you can save time and energy using this innovative power tool. Click on the start button to watch this video demonstration of the peeling disk. Works on all Northern American species except the stringy bark of cedar and similar type type of species with stringy bark. Buy this popular tested and proven peeling disc now at this very attractive reduced price. These powerful, ruggedly built Milwaukee drills are ideal for powering the tenon cutters and long drill bits. 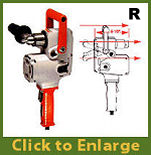 They feature reversing motor, heat treated helical gears for quiet performance, triple gear train, heavy duty aluminum alloy housing, and extra long switch handle and pipe handle for maximum control. 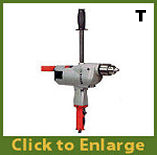 W-14-738 $489.95 Model 1663-20 Milwaukee 1/2" drill; 7 amp; similar style as 1660-6 shown except also features 115-450 dial variable speed control; power electronics, & soft start; 12" length; 11.9 lbs. 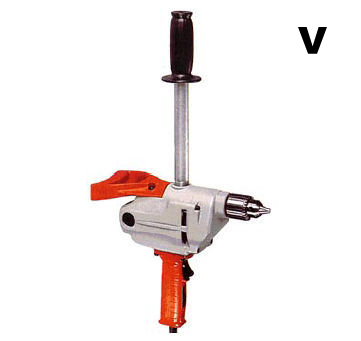 Model 1675-6 Milwaukee ½” Hole-Hawg drill; compact design; powerful 7.5 amp motor; ball and roller bearing construction; two speed 300/1200 RPM; 2 position pipe handle and 3 position spade handle for maximum control when drilling. 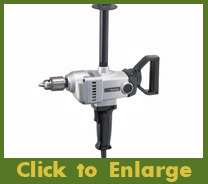 Will handle medium size auger and large self-feed bits. 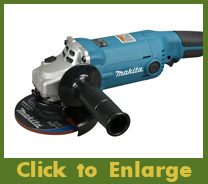 Milwaukee Hole-Hawg same as above but with Hi-impact resistant carrying case. 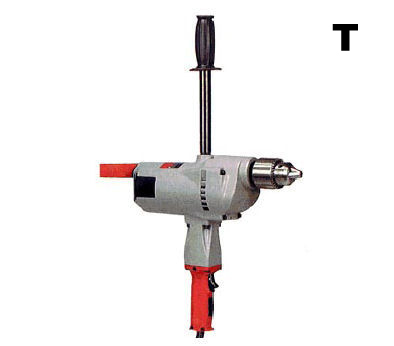 T-14-739 $899.95 Model 1854-1 Milwaukee ¾” Super Hole-Shooter drill; powerful 10 amp motor ruggedly built with plenty of reserve power for the toughest drilling jobs. Extra long pipe handle and rear spade handle for maximum control. Heat treated gears and durable housing and transmission make this a real work horse for your large bits and tenon cutters. 350 RPM; 18 ½” length; 19 lbs weight.